You know what I love? Gifts that last the WHOLE YEAR LONG. That's why I've loved giving my kids subscriptions to magazines. But in recent years, a whole new breed of subscription services has developed: Monthly activity boxes. These are insanely awesome because most contain activities that can be done throughout the month. So I thought that today's theme of gifts for children should be subscription boxes. There are many others available, but the ones below are my favorite picks for MommyMaestra readers (and my own kids). 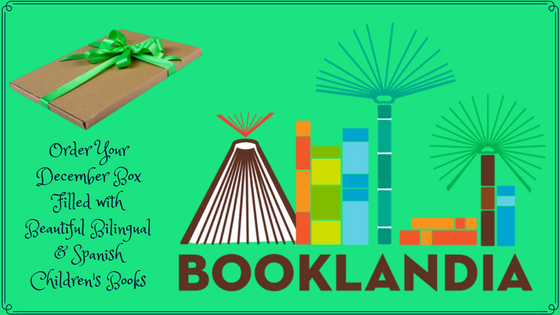 Booklandia is a monthly service of bilingual and Spanish children's books delivered directly to your mailbox. 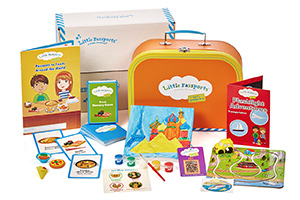 The book boxes are designed for families with children ages 2 to 12 years old. Each month, your child will receive 2 carefully selected titles. You can see examples of the book titles here. Then, you just pick up the book, sit back, and read! This seems like the perfect gift for a bilingual family. And there's even a gifting option so you can purchase a subscription for your grandchildren, nieces and nephews, or godchildren. Are you raising a global citizen like I am? If so, then be sure to check out Little Passports! 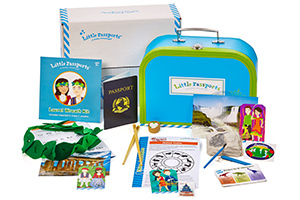 This awesome company offers four different monthly subscriptions to help your child go on a global adventure and learn about the world around them. My kids had so much fun with this program. We did the World Edition. But now that they are older, I'm looking into the new Science Expeditions program to strengthen their STEM skills. To see what each program comes with each month, click on the "Little Passports" title above for a complete list. Preschoolers explore a new world theme each month like Music, World Landmarks, and Dinosaurs. 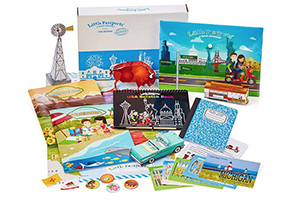 Each monthly package includes a 20-page activity booklet, fun souvenirs, trading cards, letters, photos, stickers and more. Discover a new country each month with pen pals Sam & Sofia! Packages include letters, fun souvenirs, activity sheets, stickers, photos and more, plus access to the Boarding Zone for more online games! Discover the USA with monthly activities, games, science experiments & more! Two new states are featured each month in our 32-page activity-packed State Journal, along with stickers, postcards, pop-out models and access to more facts and activities online. Every month, your child will receive a package full of science experiments and STEM-related activities with themes like rockets, forensics, caves and crystals, northern lights and magnetism, hydrology, and so much more! 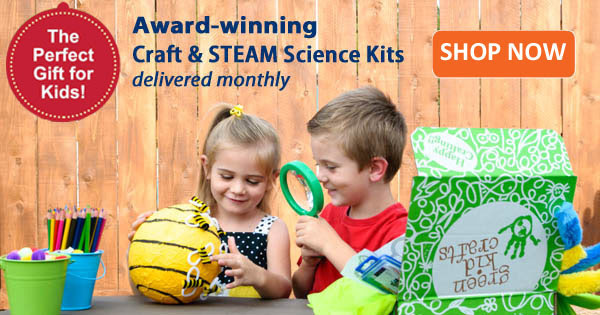 Green Kid designs and delivers hands-on, award-winning, and eco-friendly Discovery Boxes, Creativity Kits, and STEAM Kits (science, technology, engineering, arts, and mathematics). Each month, your Discovery Box will have a new theme and earth-friendly materials to complete 5 to 8 different projects. Grab this incredibly fun 12-month subscription of Ms. Frizzle-approved, wacky experiments delivered to your doorstep for award-winning science FUN! It's 50% off and you get FREE shipping in the US. Ships to Canada for $2/month and all other countries for $4/month. 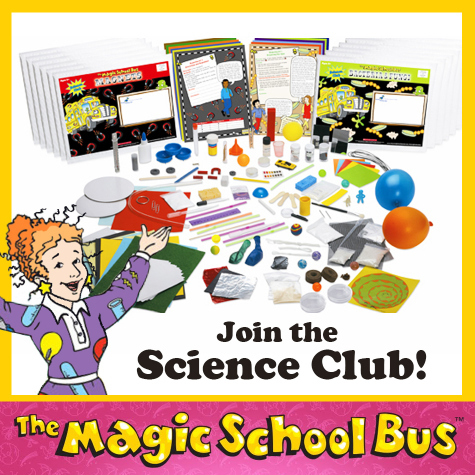 Receive a Magic School Bus science experiment shipped to you during the middle of each month for 12 months and include them into your science curriculum. It's created for kids ages 5 -12.